1. Carprofen for dogs is available only with a prescription. This medication is a strong anti inflammatory for dogs, and your vet must prescribe it for you to be able to purchase the medication. The risks and side effects of the drug make it one that should only be used under vet supervision, and in many cases this drug can have many benefits for your pet. 2. Carprofen is the generic form of Rimadyl for dogs, and this drug has been linked to many serious conditions and complications. It is commonly prescribed to treat arthritis in older dogs, because arthritis causes inflammation, pain, and stiffness in the joints of your pet. 3. 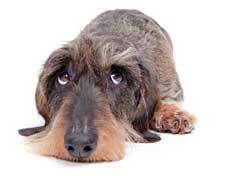 If you have been advised to use Carprofen for dogs then you should not use any supplements or over the counter medications without checking with your vet first. Some supplements and OTC medications may interact with the Carprofen, or interfere with the effectiveness of the drug. 4. If your vet has prescribed Carprofen to provide pain relief for dogs then you should never give any other non steroidal anti inflammatory medications while your pet is on this treatment. NSAIDs can include corticosteroids, such as prednisone, as well as aspirin and other common pain medications. 5. The side effects of Carprofen for dogs can range from mild to severe, and you should understand which side effects are serious. This medication can cause ulcers in the gastrointestinal system of your pet, and internal bleeding is also a possibility with any NSAID medication. 6. Carprofen is one of the most common medications used for arthritis in dogs treatment. This drug can cause serious liver or kidney damage though, because these organs metabolize the drug so it can be eliminated. Periodic tests may be needed to ensure your pet stays healthy and no organ damage occurs. 7. Carprofen for dogs should never be used in canines that have a decrease in kidney or liver function, or in any pet that has a disorder with blood coagulation. If your pet is sensitive to any NSAID medication this medicine should also be avoided.